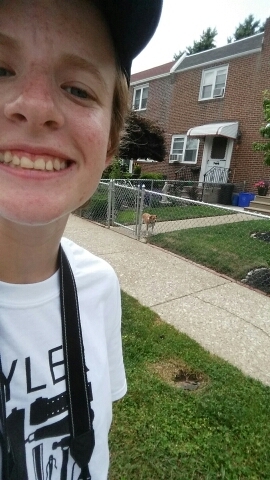 Here is me and a dog. Here is me and weak walkability. 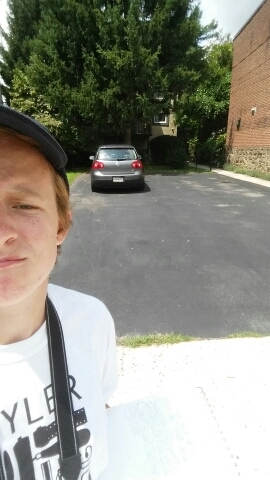 Here is me and a big drive way with a far setback to the house. 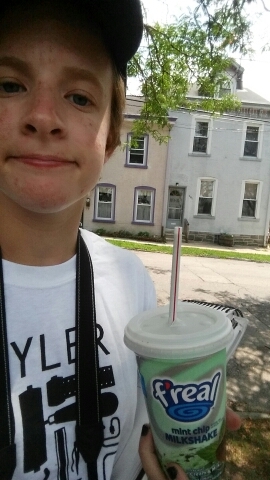 Here is me and a milkshake and some houses that fit in very nicely. 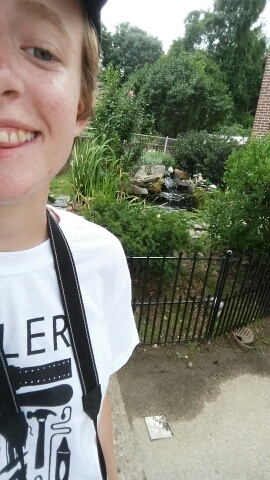 Here is me and a friendly fountain. The white space is bold and Street Trip loves it. Ready for urban infill! Meanwhile, out on the range, the NCK effort has expanded to the Wissahickon neighborhood, shown here in a map provided by urban planner Jillian Puleo Dierks. The large parcels to the right are part of the heavily wooded Wissahickon Valley Park (the “Wiss” or “Wissy” in the vernacular). 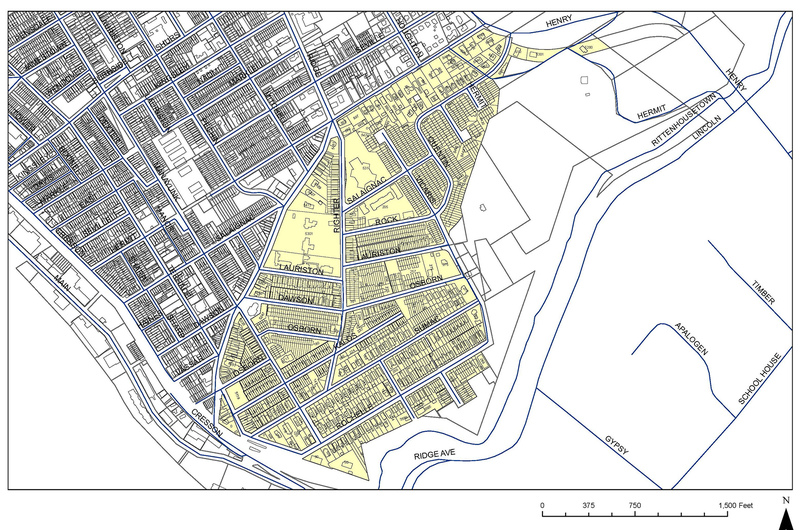 The yellow area is already within the Wissahickon Watershed Overlay District, important for water quality because the creek joins the Schuylkill River immediately above one of our drinking water intakes. 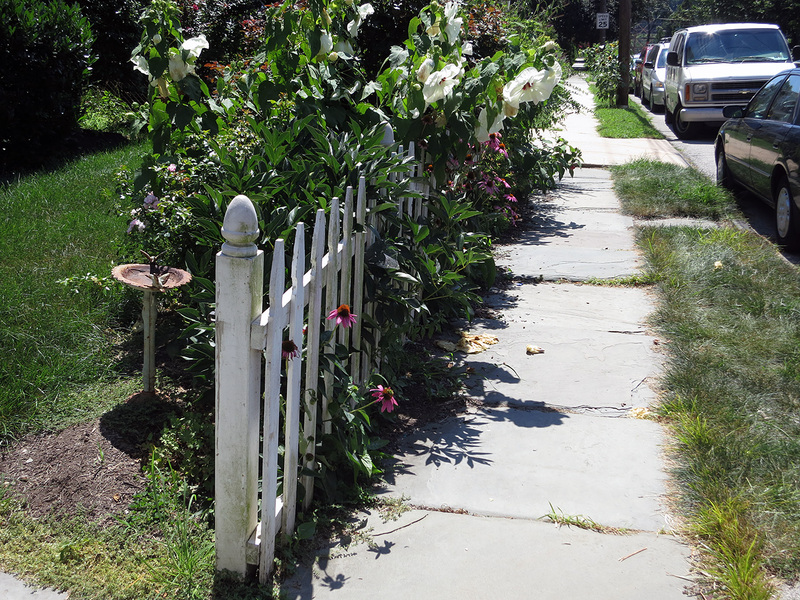 Compact walkable development patterns like those found in Roxborough are also important for watershed health, as they preserve large swaths of forest and wetland, and, compared to sprawl, reduce impervious pavement area per capita. If a civic association decides to pursue a Neighborhood Conservation Overlay (NCO) to protect its walkable character, every building in the overlay area must be photographed and carefully labeled. 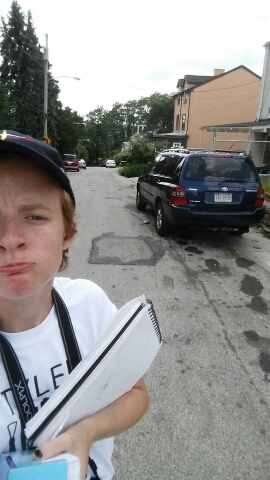 Here’s intern surveyor Matt Sawyer photographing in his neighborhood, getting a head start on this big job. Even if the “civics” don’t end up pursuing NCOs, these surveys are a great way to showcase local architectural precedents, and get to know one’s neighborhood. 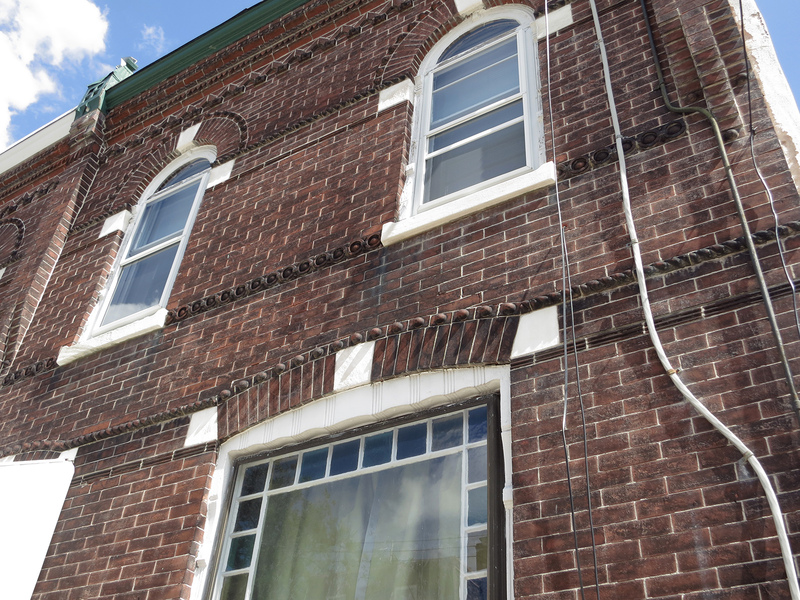 Here are some delightful details we found along the way. In an upcoming post we’ll look at some beautiful driveways we found. Hard to believe, Harry*, but so is a no-hitter by Cole Hamels in his last start as a Phillie. Forgive us, out-of-towners, we are homers, which is why we strive to be Hall of Fame stewards of neighborhoods. 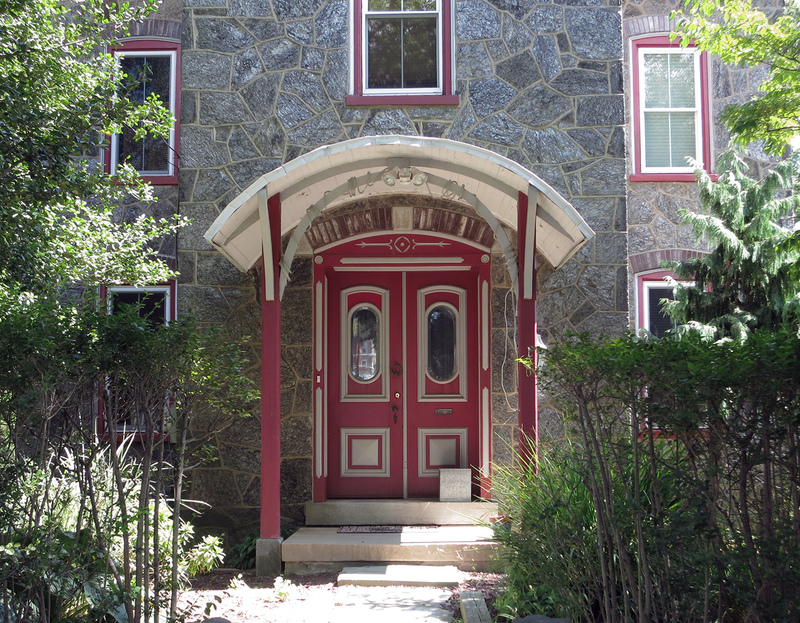 *Harry Kalas, late beloved Phillies broadcaster, laid to rest in Laurel Hill, the historic cemetery a mile from that red door. 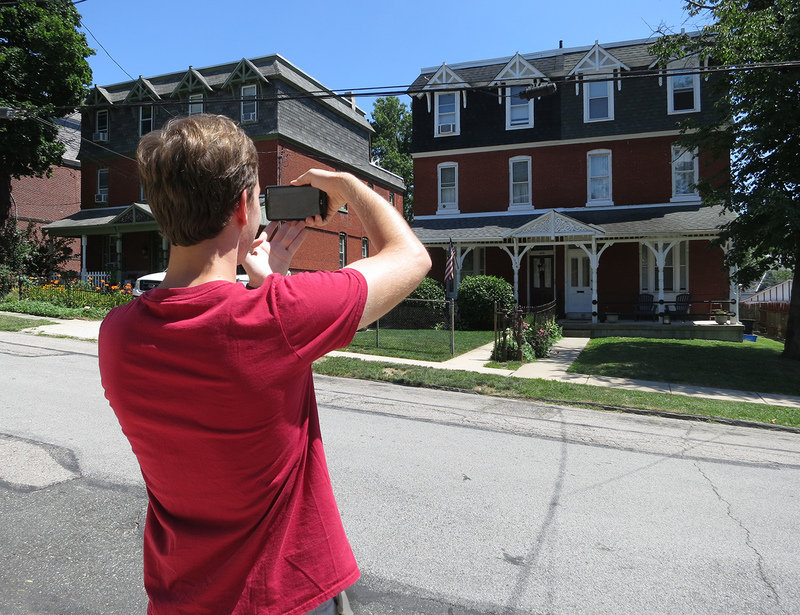 As part of the Neighborhood Conservation Kit training for civic associations, about fifteen of of us Roxborough residents recently walked some of the newly-developed blocks that have been causing the most distress. Our neighbor Addison Geary made this short video of some of the highlights and lowlights. We hope it helps you think about some of the issues confronting our older walkable neighborhoods that are under development pressure. Not surprisingly, much of our discussion revolves around parking, parking, parking. How are you balancing cars and pedestrians in your neighborhood?